We are Daniel and Kate Pullen, visual storytellers from Hatteras Island, North Carolina. Our passion is to creatively narrate authentic moments through bold documentary photographs. 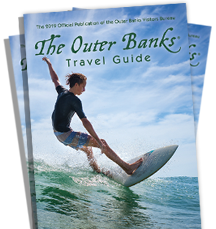 We have served as leaders in avant-garde photography on the Outer Banks since 2003. From Daniel’s notable freelance career as a surf, documentary, and commercial photographer, to our progressive approach to weddings & portraits, our task is to provide our clients with stellar five-star images through exclusive, authentic, moment-driven, engaging artistry. Whether shooting close to home or far away, on assignment or for personal work, we believe that compelling stories can be found in every circumstance of life. Our goal is to photograph those palpable moments with genuine emotion and timelessness. We'll let our work do the rest of the talking!